So last week, we enlisted a moving expert to answer all of our pressing questions about furniture pads. Are they really necessary? What should we use them for? Can we rent or buy them? What do they even do?! This week, we are back with the breakdown of where to buy moving blankets. 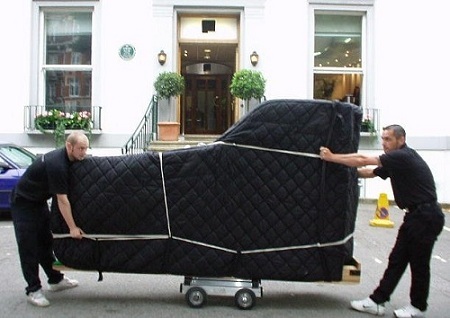 These fancy quilts, also called furniture pads, come in all shapes, sizes, materials, and quantities, but at the end of the day, it’s all about what is right for YOUR move (whether you’re renting a truck and moving yourself or hiring the full service pros) and how you can save a buck or two. 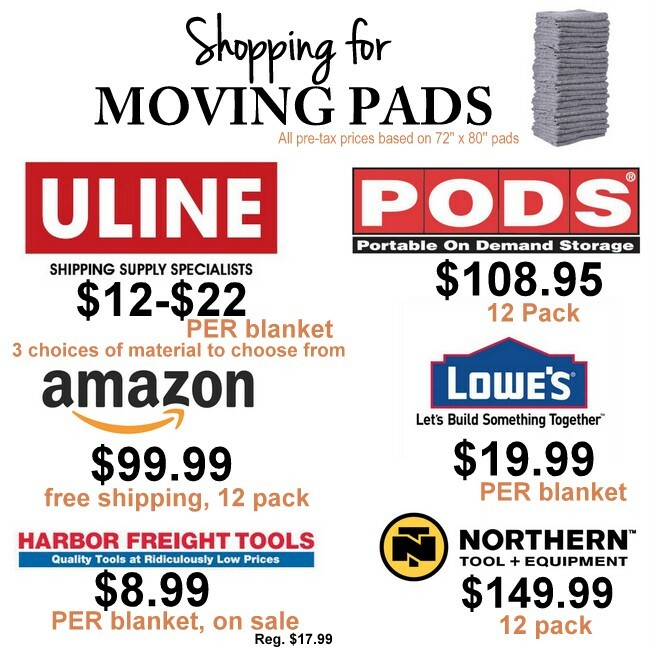 But don’t be completely fooled, because moving pads come in all sorts of material & weight it’s hard to compare them side-by-side strictly by price. The thicker the material, the higher the quality and the more protection the blanket will offer. The numbers we researched tell most of the story, but we would advise you to take a look at each of these sites yourself to be sure you are getting what you need. The quality you need may be a tad different from these exact prices we have researched. However, we did find U-line had the most variety of moving blankets to offer when compared to these competitors. But again, we would suggest you take a look for yourself to be sure!! Beyond the specific moving blanket cost comparison itself, we found that it was hard to narrow down the comparison because there were all sorts of materials that stand-in for the traditional moving pads or blankets. 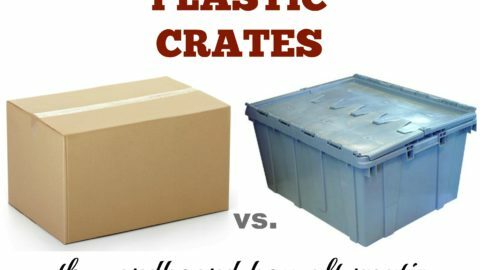 Like we explored last week, kraft paper, thick papered furniture pads, and bubble wrap are all materials that act in some way like a moving pad, on a different scale. If you don’t need as much bulk and protection as a large moving blanket, these other materials may help protect your treasures too. 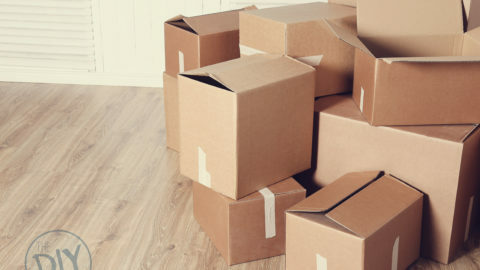 Here are a few materials that you may want to add to your list before you start packing. Just like the moving pad disclaimer, we would once again urge you to do a little research on these other protective materials as well. We are all about getting the most BANG for your buck and for each move, the needs and quantity is different, therefore the product to purchased will be different as well. 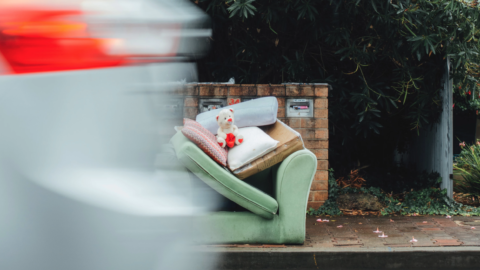 We hope we helped narrow down your shopping search a tiny bit, or at the very least, helped by shedding some light on where to buy moving blankets, packing paper, and kraft paper. 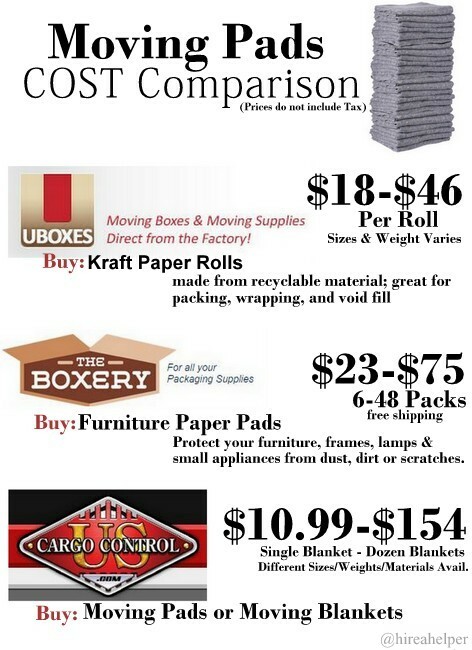 Oh, and if you’re still in the market for saving money… check out our Cost Comparison on Moving Boxes and For Sale Signs. … And that’s a wrap!! (See what we did there?) Sorry, we just couldn’t pass up a good moving pad joke. I had bought blankets from Door-To-Door when we moved, and resold them for half of what I paid when we were done with them.